MSI recently released a new variant of the popular GeForce GTX 970. The company calls it the MSI GeForce GTX 970 Gold Edition OC. It features higher factory overclocked settings compared to the regular GTX 970 Gaming 4G, also comes with improved cooling performance and obviously the new color theme. However, the only Gold that I noticed in this model is the box and the printed logo on its back plate. Other than that, it’s all copper-like. 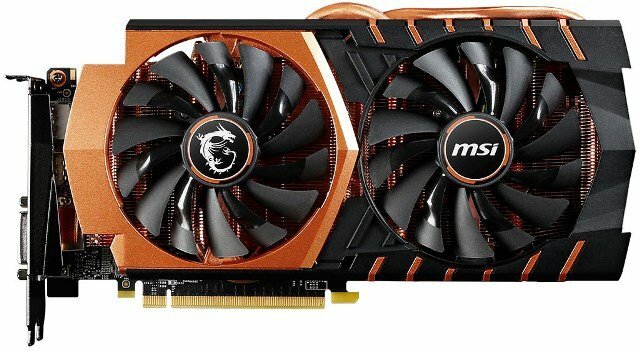 Perhaps they should called it GTX 970 Copper Edition OC instead? Anyway, check out the rest of its features, specifications, price and where to get one below. MSI is pleased to announce a special and limited edition GAMING graphics card powered by NVIDIA’s GTX 970 GPU. 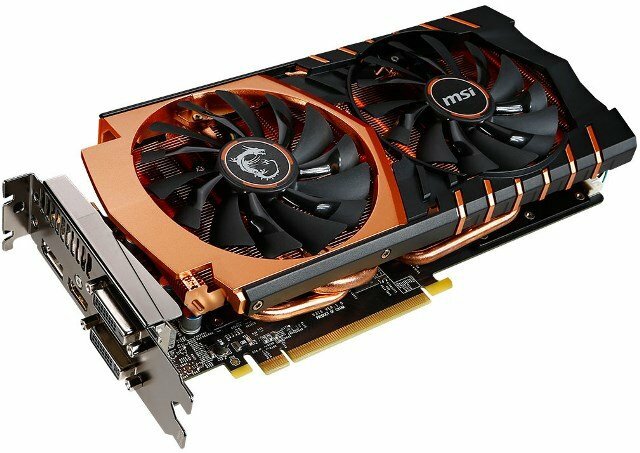 The new MSI GTX 970 GAMING 4G GOLDEN EDITION features increased clock speeds and improved cooling performance thanks to an all copper heatsink and heatpipe with anti-oxidation treatment.Kept cool by MSI’s all-new Twin Frozr V with Hybrid Frozr technology, this limited edition MSI GTX 970 GAMING card providesgaming enthusiasts with low-noise and low-temperature graphics performance. The MSI GTX 970 GAMING 4G GOLDEN EDITIONwill be available exclusively in the USA and APAC countries. The new MSI twin Frozr V Thermal Design is the pinnacle of graphics card air cooling. With a smaller than 2-slot design the new Twin Frozr V is able to surpass previous generation’s by a large margin. The new 10cm Torx fans ensure huge amounts of silent airflow and visually match the bold new look of the Twin Frozr V. The heatsink itself is re-organized through the SuperSU design which increases heat-pipe efficiency, especially when combined with Airflow Control Technology. Hybrid Frozr is a throwback to 2008 when MSI was the first to market high-end, zero noise graphics cards thanks to fans that stop spinning in low-temperature situations. Additionally, you will find Independent Fan Control on certain models which allows fans to spin independently of one-another based on component temperature below the fans. With the GTX 970 GAMING 4G GOLDEN EDITION, the next-generation of MSI GAMING graphics cards MSI is leveling-up the PC gaming experience. The MSI Gaming App allows gamers to quickly switch between OC, Gaming and Silent modes depending on their needs. Now featuring the EyeRest tab, which offers quick access to specific monitor color profiles for games, movies and a special EyeRest mode which reduces blue light. Reduction in blue light emission helps tune your body to the night-time so it’s easier to rest after long gaming sessions. DVI Connectors 2 (Dual-link DVI-I, Dual-link DVI-D), Max Resolution: 2560 x 1600 @60 Hz. 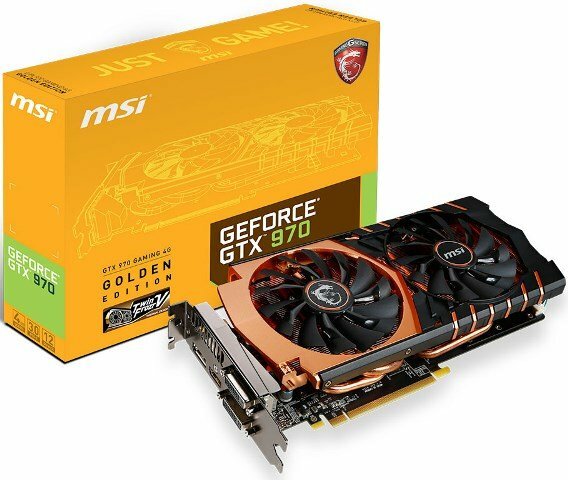 The MSI GTX 970 Gold Edition OC is available now and comes with a retail price of $399.99. It’s $50 higher compared to the GTX 970 Gaming 4G which is only $349.99. But if you want something different, you can grab one here. If you’re fast enough and lucky, you might be in time to avail the limited free 1 game promo if you buy one.